The shallow design of the Purist basin is a quiet backdrop for the simplicity of water while highlighting the stunning natural beauty of marble. With a minimalist design, Purist transforms your bathroom into a luxurious home spa environment. The Chesapeake wall-mount lavatory provides outstanding performance ideal for commercial settings. You can count on durable vitreous china construction to maintain its hard, nonporous finish for a remarkably clean, sanitary lavatory and years of reliability. This ledge-back sink includes wall hanger, and also features drillings for a concealed arm carrier and a faucet with 4" centers. The Dolce Vita's bold, artistic design is defined by beautiful curves and a black raised pattern on the underside. Highlighted by a durable enameled finish, this cast iron sink adds an elegant yet playful tone to your bath or powder room. 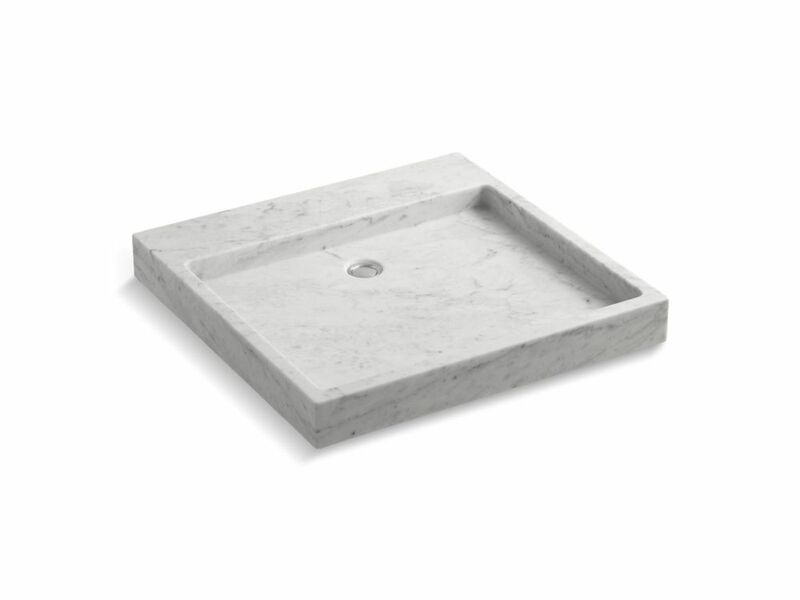 Purist Wading Pool® Above-Counter Or Wall-Mount Bathroom Sink In White Carrara Marble The shallow design of the Purist basin is a quiet backdrop for the simplicity of water while highlighting the stunning natural beauty of marble. With a minimalist design, Purist transforms your bathroom into a luxurious home spa environment.